Acrylic nails have been around for a long time, but they are just starting to trend again in modern times. They are basically nail attachments that you put over your real nails to help give them a unique appearance. The acrylic material is a type of plastic that is made from polymer powder and a liquid monomer. The mixture of these materials gets placed onto your real nails and forms a protective coating over them. When the mixture is exposed to air, it will harden on your nails and look completely transparent afterward. Then you will have free range to place nail polish and other nail cosmetics over the acrylic material when it is hard. 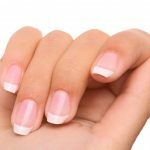 Do you want your nails to look a certain way, but you don’t want to wait to grow and style them? With acrylic nails, you can get your nails to look any way you want within a much shorter amount of time. Manicurists or nail technicians are the ones who can give you these acrylic nails and then style them for you. If you were ever a fan of classic gothic ladies like Vampira, Elvira, or Lily Munster, then you will be happy to know that their fingernails also had black styled acrylics on them too. Just be aware that your real nails are still growing underneath the acrylics. When they get too big, you will need to go back to the nail salon and have the technician fill in the gaps. They will need to soak your nails in acetone to remove the acrylics in the meantime. Remember that nails are naturally supposed to be flimsy and soft, but acrylics will make them hard. That is why if you were to break a nail, it would be very painful because the acrylic would break along with your real nail. Your best bet will be to go with the acrylic stiletto nails. 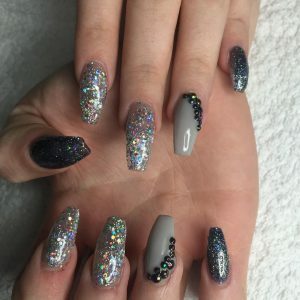 These are just acrylic extensions for the tips of your nails, so they are less complicated to deal with. But the thickness level of your real nails will slightly diminish because the technician will be sanding the top to make it rougher. This will wear down your real nails and cause them to be less strong after you remove the acrylics. Then you will just need to wait for them to grow back to a durable thickness again. If you are looking for acrylic nails in San Diego, Boudoir Nail Bar should be your first stop! 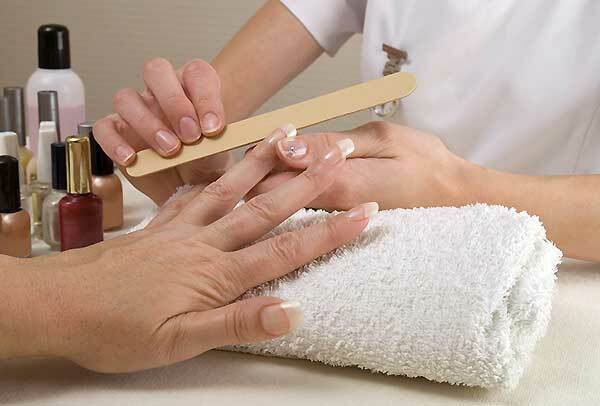 Our expert nail technicians specialize in acrylic nails and other nail treatments including manicures and pedicures. Click on the link below to schedule your nail appointment! Do You Want to be a Nail Salon Artist?